Denham Parish Council has passed a resolution at a Full council meeting to proceed to formulate a Neighbourhood Plan for the entire area of Denham. This has now been agreed by the Local District Council and a Steering Group has been formed and is meeting monthly. A Neighbourhood Plan is a statutory document that communities conceive to influence the way forward in terms of development for their area. The plan will contain a shared vision along with objectives and planning policies that the community drives forward to achieve set goals. This could mean deciding where development can take place and how it might look. When complete, the plan would go before an independent examiner, followed by a local referendum. Providing the plan is passed and accepted by the examiner and the referendum, it will then be utilized by the Local or Unitary Authority to help determine planning applications. At present, the Parish Council can only comment on planning applications in an advisory capacity and has no say in the final planning decision or the distribution of developer payments which contribute to the provision of infrastructure needed to support new developments. A Neighbourhood Plan can also influence the use of land and associated social, economic and environmental issues along with consideration for housing, employment, transport and biodiversity. The plan would be used to influence development in the area, not to prevent it. The plan is not designed to directly address community issues but can be used to highlight them and to provide a vehicle to take them forward. The Steering Group still needs a cross section of residents from the various areas of the parish to work with a small number of parish councillors. The Parish Council wants to ensure that all areas of Denham are fairly represented so if you are able to volunteer some time to be part of the Steering Group or project teams that may be required to drive the plan forward then please do contact the Clerk. We would be delighted to hear from you. 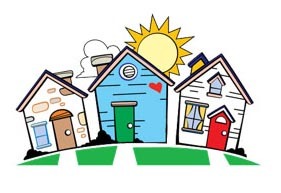 Neighbourhood Plan Meetings occur on the third Wednesday of each month. Click the link to see the up and coming dates. © Denham Parish Council. All Rights Reserved. Design by Vision ICT Ltd.